The Lady from Dubuque was expected to be a play in the mould of Who’s Afraid of Virginia Woolf? Indeed, the project was conceived at the same time that the earlier play was gestating in Albee’s imagination in 1960. Over the years Albee spoke of plans for incorporating a singularly ambitious effect, an enormously extended speech; but this was abandoned. So too was the title by which the project was first known: ‘The Substitute Speaker’. 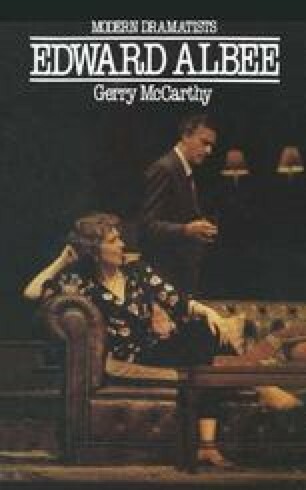 When the play was performed in 1980 it recalled the ‘early’ Albee: the idea of substitution contained in the original title, and the presence of what the writer called ‘hallucinatory’ elements, both suggesting affiliation to Who’s Afraid of Virginia Woolf? The play retained the economy of Albee’s later writing, and the non-naturalistic experiments were distinctly the fruit of his confidence in his style, abundantly displayed in the two plays Counting the Ways (1976) and Listening (1975). At the same time the twenty-year-old project emphasised the continuity of some of Albee’s most expressive dramatic ideas.